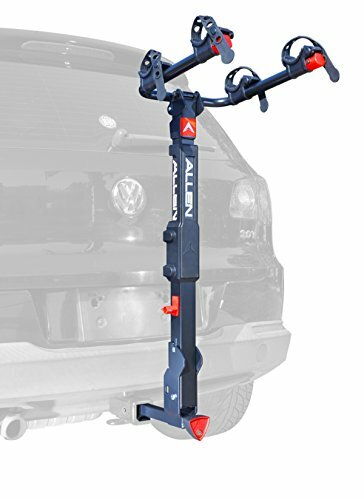 The allen premier qr hitch rack is the perfect way to transport your bicycles on road trips or camping guards. The quick install locking hitch insert installs into your receiver hitch wobble-free without needing any tools to secure. Dual-compound tie-down cradles and quick secure straps secure and protect your bicycles. The rack incorporates easy to use folding carry arms that quickly and conveniently drop out of the way when not in use. The rack also tilts back for easy lift-gate access. A large padded spine Shield protects your bicycles from the rack, and an included strap and padded Cam buckle help to keep everything in place when you're driving. Important installation note: never use on trailers.